Bottom line: President Trump’s 2020 re-election campaign is taking a new line to secure regional votes: government control of 5G frequencies. 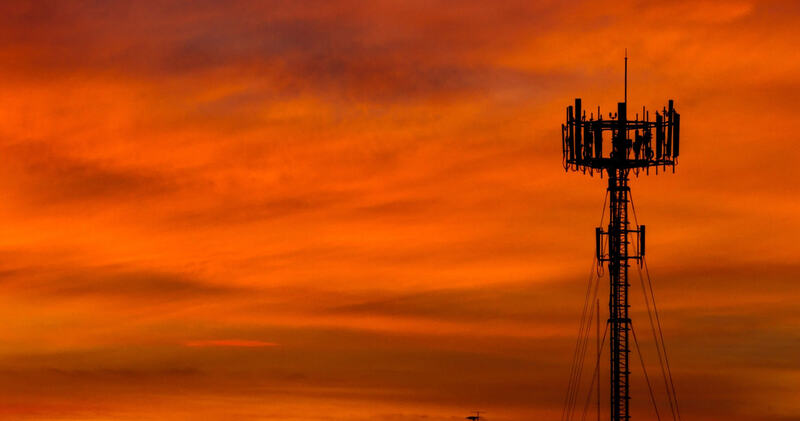 By leasing out the frequencies directly from the government and with varying terms, the government could force companies to provide service to regional areas and possibly reduce prices, but telecoms are not in favor. “A 5G wholesale market would drive down costs and provide access to millions of Americans who are currently underserved,” Trump’s press secretary Kayleigh McEnany told Politico. In many ways, she’s right. But the whole idea also reeks of weak campaign promises, designed to get votes and not much more. Presently, every frequency is legally controlled by the Federal Communications Commission who lease them to companies and other government organizations through “spectrum auctions.” Companies like AT&T and Verizon, for example, recently competed in America’s first 28 GHz spectrum auction, which resulted in 2,965 licenses costing $702 million. The new system, while still in the theoretical stage and likely to change, is something of a cross between the electricity system and the game Monopoly. The government might auction off a certain minimum amount of frequency to each provider at the start of a year, enabling that company to have infrastructure that can take advantage of the 24 GHz band, for example. However, three telecoms decide they all want a piece of the 24 GHz band, but none of them is a clear market leader. In the first part of the year one has booming sales, so they need extra spectrum, but in the second half of the year another company steals the customers and now they need the spectrum. The new system keeps a portion of the 24 GHz band in reserve, and auctions it out on a weekly or daily basis to the company that has the customers to take advantage of it. With this method, there will theoretically be faster speeds during peak usage, as spectrums don’t get clogged up as companies can simply add new ones as demand increases. It also means that no frequency is wasted, as unused frequency simply lowers in price until it’s worth it for a company to buy it. And of course, the government can choose to only loan frequencies to companies that have regional networks. That doesn’t mean there aren’t problems, however. “Instead of trying to ‘out-China, China’, as some proponents of a nationalized ‘wholesale’ network monopoly suggested, we reaffirmed our faith in that most American of principles – competition in a free and open market,” says the Cellular Telecommunications Industry Association, who represent the big telecoms. The industry is violently against the proposition, saying it will stifle growth and slow down development. It could, too: by buying up a lot of spectrum in advanced, companies can plan and build infrastructure in anticipation of new technologies. Large companies also already lease out their spectrums and physical networks to smaller companies, and the new system would ruin those highly successful deals. Of course, it wouldn’t be a Trump initiative without some potential scandal attached. The main proponent of the new system is Revada, a company backed by Trump’s ally Peter Thiel. Revada hopes to be the middle-man that leases out the spectrum for the government, something that could make Thiel very rich indeed. And the lynchpin: Trump’s Deputy Assistant for Technology policy, Michael Kratsios, formerly worked for Thiel. Regardless, changing the frequency and spectrum market has fascinating potential. There’s no doubt we’ll hear a lot more about this in the coming months.